Spinal tumors can develop along the spinal cord or inside the individual vertebrae. There are several different types of spinal tumors, but they may share certain symptoms and characteristics. 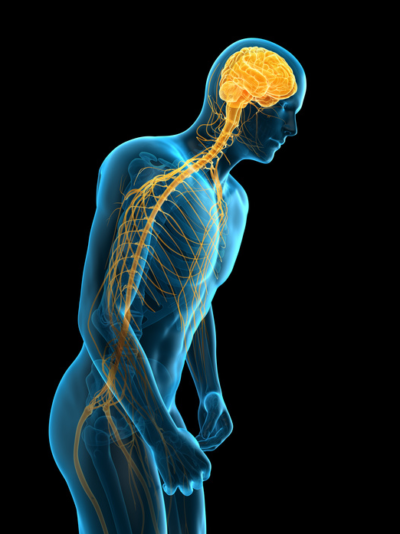 Because the spinal cord and the nerves bundled within are delicate, treatment must proceed with caution. Hampton Roads Orthopaedics & Sports Medicine will guide you through the diagnosis and treatment process to find the best plan for you. Intramedullary Tumor: This tumor grows on the inside of the spinal cord, typically near the neck. These tumors may include gliomas, astrocytomas, and ependymomas. In most cases, these types of tumors are benign (noncancerous), their location can make them difficult to remove. Extramedullary Tumor: These growths occur in the membrane surrounding the spinal cord or the nerve roots that branch out from it. Because these tumors occur in close proximity to the spinal cord, they may trigger symptoms within the spinal cord itself. Types of extramedullary tumors include neurofibromas, schwannomas, and meningiomas. Vertebral Column Tumor: Primary growths occur in the bones or discs of the spinal cord. Primary vertebral tumors are rare and slow to spread. When they do occur, they’re most common in young adults. Metastatic Tumor: Tumors in the vertebrae are more commonly a result of metastasis, the spread of cancer from elsewhere in the body. The spinal cord is one of the most common sites for cancer to spread to, particularly in cases of lung, breast, or prostate cancer. Back pain is the most common symptom of a spinal tumor. Over time, the pain may spread to the hips, legs, and arms. There’s no clear cause for why tumors develop in the spine, although there is some evidence of a genetic component. People who are immunocompromised may be at a higher risk for spinal cord lymphomas, and people with the genetic diseases neurofibromatosis 2 and Von Hippel-Lindau disease are more likely to develop primary spinal tumors. Treatment depends on the type of tumor and its location in or on the spine. Treatment options may include a combination of surgery, radiation, and chemotherapy. Asymptomatic tumors may simply require observation with MRI scans, rather than invasive interventions. Treatment should be tailored towards preserving neurological function and mobility while alleviating pain. At Hampton Roads Orthopaedics & Sports Medicine, we begin with a conservative treatment plan designed to achieve the best results with minimal impact to your health and quality of life. Contact us at (757) 873-1554 for more information or to schedule an appointment with one of our orthopaedic spine specialists.